There have been several rumours across the British media that the Manchester United manager’s job might be vacant soon. Many expect the club’s owners to fire Jose Mourinho before the end of the season if performances don’t improve and if the ongoing hostilities with Ed Woodward continue. Results have not been the best so far this season at United and the latest defeat to Tottenham at home have also increased the speculation surrounding Mourinho’s job. 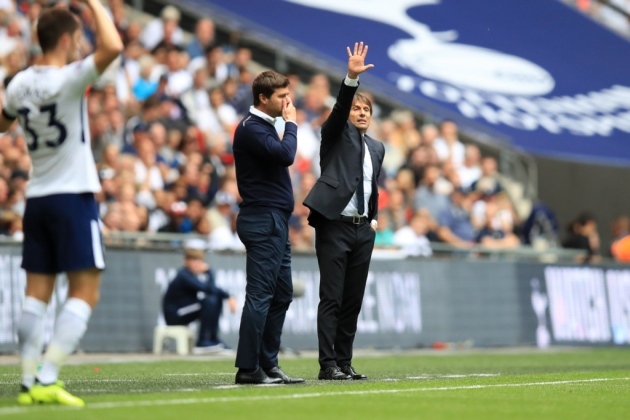 Looking at the way things are shaping up, many have suggested that the first option the United owners should consider if Mourinho leaves, is to look at Mauricio Pochettino of Tottenham. The Argentine has been at White Hart Lane for the last four seasons and has kept the North London side relatively competitive in the league despite not landing any silverware for the underachieving side. He has been able to negotiate top fees for the players he has sold, and has integrated the likes of Harry Kane, Dele Alli, Kelvin Trippier, Eric Dier and many more into his team. His playing style is also one that many United fans would love to play under at Old Trafford. However, United would have to buy out his Tottenham contract which he just signed at the end of last season but even with the hefty financial outlay, it could be a good decision to get a young manager like Pochettino. The major concern is just been the fact that he has never won any silverware in his career before so taking him on would be a huge gamble.